Online e-Commerce websites are presently dominating the world of retail. 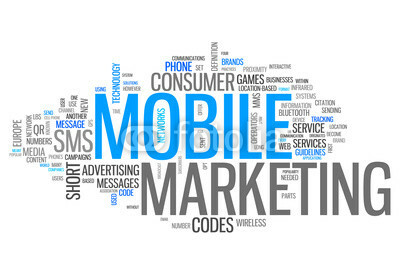 All thanks to the mobile marketing, which has transformed the way consumers shop and search for products online. According to the latest survey by eMarketer, there are around 405 million mobile internet users worldwide. Similarly a recent study conducted by National Retail Federation (NRF), suggests that there are around 74% of online retailers that have designed mobile e-Commerce strategies for their businesses and around 20% have already implemented their mobile marketing plans. Businesses have too excellent options to build a good mobile presence, but there is no denying that each has its own set of unique advantages. The onset of mobile marketing encourages e-Commerce businesses to design such effective strategies that provide flexibility to create targeted user experience. A native app is an app for a certain mobile device which is installed directly onto the device. It is called so because it is written in the same programming language of an operating system. If you want a native app on iPhone and Android the code must be adjusted to meet each platform’s standards. Native apps are better in terms of functionality since they can be seamlessly integrated with the phone camera, sound/video recorder, address book and other handset features, giving a richer user experience. Native apps provide a superior level of interactivity with better appearance and behavior functionality that a user normally expects, but then these apps are more expensive in comparison to other mobile web applications. In terms of speed functionality too, native mobile apps step ahead. When you purchase and install an app, it automatically becomes a part of your handset’s built-in features. As such installing them takes hardly a few minutes. On having a mobile formatted website, you increase your chances of getting instant connectivity with customers employing mobile phone. Your business ROI will simply enhance by a single mobile internet site. In recent times, there has been a significant shift seen from desktop searches to mobile. The web mobile has doubled and it is likely to grow even more as smartphones continue to exhaust the market. Hence, you can significantly increase the overall audience visits by being available wherever and whenever users want to access your site. As per the Neilsen’s Report there are about 83 million web users in the U.S and this figure is likely to grow by 2015. Also Check our blog on Why we need to focus on mobile SEO for performance of your website. Responsive design successfully addresses most of the display queries across different types of screen. Mobile websites that are responsive are built to detect the size and resolution of device which you are using. The responsive elements are built into CSS (Cascading Style-Sheet) of your website. Responsive web designs lead to a terrific increase in generating better SEO results by targeting more number of users. In a nutshell, Mobile app marketing has continued to grow better and faster than normal web marketing because it has a great number of advantages. It is designed to engage customers so as to accomplish your business goals. For moving ahead with successful marketing business, you need to follow a smart approach that generates positive results.